Oduduwa University Post UTME Past Questions and Answers | Free Download. 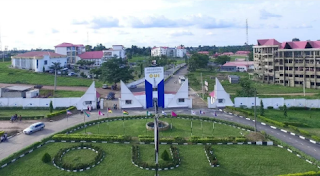 Oduduwa University Post UTME Past Questions… Are you an aspiring Oduduwa University candidate? Do you wish to partake in the upcoming examination? Then you need to arm yourself, there are various ways to do that. Over the years, we’ve received and SMS from aspiring candidates for past questions and answers, not only that, we’ve also received lots of testimonies from aspirants-turn-students of the tremendous role past questions played in their gaining admission. If you are really interested in purchasing Oduduwa University Post UTME Past Questions and Answers, then l’m going to have to help you but will also require sincerity and honesty on your part too. This will go a long way to improving your exam preparatory skill. You will understand the pattern of the aptitude test exams and how it is conducted in Oduduwa University. Most of these questions in the past questions sometimes do repeat itself in subsequent years, I’m 100% sure of what am telling you. In Oduduwa University, admission is strictly based on merit and you are expected to score your post UTME as high as possible as the admission placement is very competitive. We have all Oduduwa University Post UTME Past Questions and Answers in hard copies too if you need it paper typed and we will make it available on request only. The cost of the newly updated Oduduwa University Past Questions and Answers is 2000.00 naira only for four subject’s combination.